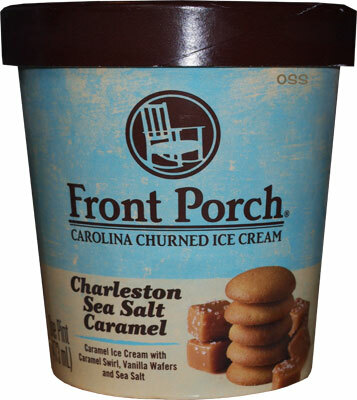 [New for 2014] Front Porch ice cream, the premium brand of Mooresville ice cream, is back with two new flavors this year. I got to sample all four of their new 2013 flavors last year and I was impressed. It's a quality product that has nice flavor profiles. The only real sticking point I had was that the mix-in level seemed a bit low for an otherwise enjoyable product. So, I asked if they could send samples of the new stuff [If you are in the southeast, and specifically the Carolinas, you should be seeing these pop up on shelves]. You know how sometimes I point out that doing caramel a certain way can wind up having a coffee flavor to it? Well, that's the first thing I noticed here. It's not super strong, but my brain is definitely thinking mild coffee flavor first, more then caramel (but this vibe faded for the most part as I started getting in to the swirl). The next thing that hits me are the salty notes in every bite. It's not salty like a chip, and it's not drying, but it's more diffuse then that. Hmmm, how can I say it better? It's like a sub-layer of saltiness. Yeah, that's not better. There seem to be a fair amount of mix-ins (YAY!) and they are unique. The vanilla wafer bits look more like graham crust, but they don't taste that way. I'm not a 100% sure how to describe it on this quick first scooping, but I like it. Not real sugary, and not super gritty, but kind of a neat hybrid crushed nilla wafer vibe. That makes it sound like wafer crumbs, but it's better then that. It's a quality product that does justice to it's description. No complaints here. 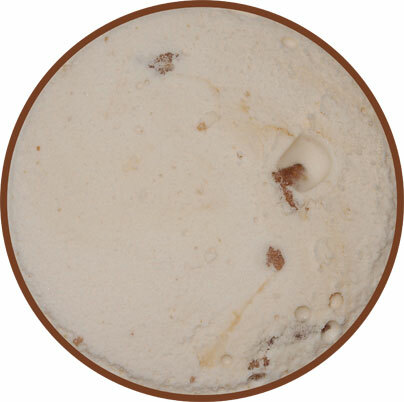 On Second Scoop: You know one of the ways that I tell if a premium ice cream is worthy of your money? It's the one bite test on the second scoop. It's that singular moment where you can go "yeah, totally worthy" because this may sound strange coming from me, but sometimes I could eat just one bite of ice cream and go "ahhhh, that was good, and now I'm done for the night". Do you ever do that? 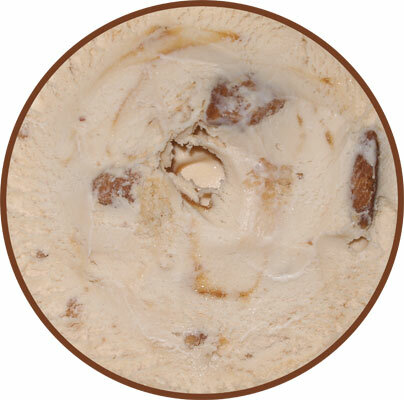 Just take one final bite of an ice cream to finish off your eating for the day? I do... ok, "one bite" is sometimes more like 5-6 bites, but still. Sometimes it's all I want. I got a big blast of sweet, I've got a nice, somewhat buttery, somewhat salty hit of caramel, it's bundled in a nice package.... I'm good. Somewhat related but if you or Nick live by a Fairway you should pick up their new store brand Sea Salt Caramel Toffee Crunch (and Mocha Mud Pie) flavor.